Super Boys explains, finally, what exactly happened with the infamous check for $130 that pulled Superman away from his creators—and gave control of the character to the publisher. Ricca also uncovers the true nature of Jerry's father's death, a crime that has always remained a mystery. 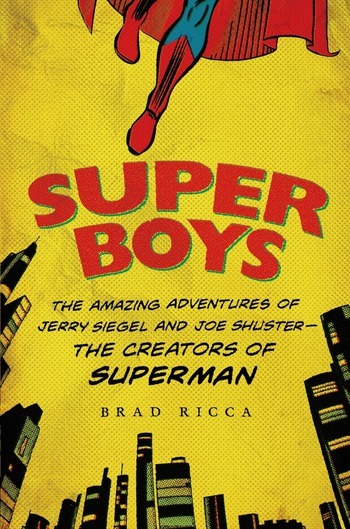 Super Boys is the story of a long friendship between boys who grew to be men and the standard that would be impossible for both of them to live up to. BRAD RICCA earned his Ph.D. in English from Case Western Reserve University where he currently teaches. He has spoken on comics at various schools and museums, and he has been interviewed about comics topics by The New York Daily News, The Wall Street Journal, and All Things Considered on NPR. His film Last Son won a 2010 Silver Ace Award at the Las Vegas International Film Festival. He lives in Cleveland, Ohio.